UAE airline Emirates said on Monday it was ending its sponsorship of FIFA, while Sony is also expected to withdraw in another a blow to the governing body as it investigates whether there was corruption in the bidding process for the next two World Cups. 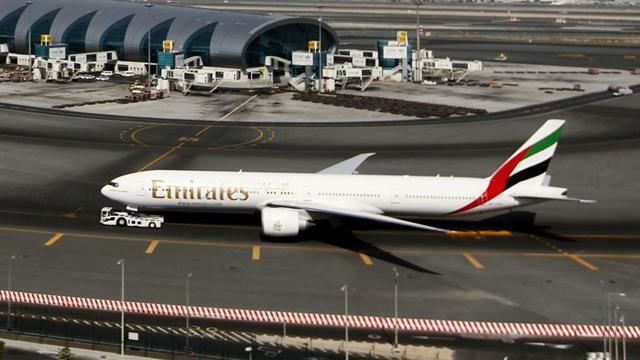 "Emirates can confirm that a decision has been made not to renew the sponsorship agreement with FIFA past 2014," the Dubai-based airline said in a statement on Monday. "This decision was made following an evaluation of FIFA's contract proposal which did not meet Emirates' expectations." FIFA had no immediate comment. Emirates, which has extensive sponsorship deals in sports, did not say how much the contract was worth or where it would redeploy the spending. Emirates was one of six main FIFA sponsors who collectively paid around $180 million last year. Sponsors have put pressure on FIFA to respond robustly to allegations of bribery to secure the 2022 World Cup for Qatar, an issue that overshadowed the build-up to this year's tournament in Brazil. FIFA is carrying out an investigation into the bidding process, which resulted in the 2018 tournament being awarded to Russia and the 2022 competition to Qatar. Both countries deny wrongdoing. German news magazine Der Spiegel said on Sunday FIFA's poor image was one of the main reasons behind Emirates' decision to end the partnership. The magazine reported that Japanese consumer electronics group Sony would also not renew its contract when it expires at the end of the year. It named South Korea's Samsung as a potential successor to the electronics group. The magazine also said FIFA is in talks with Qatar Airways as a potential successor to Emirates. Qatar Airways was not immediately available for comment. Emirates sponsored the 2006 World Cup in Germany and broadened the relationship with FIFA the following year when it signed up as one of its main corporate backers.